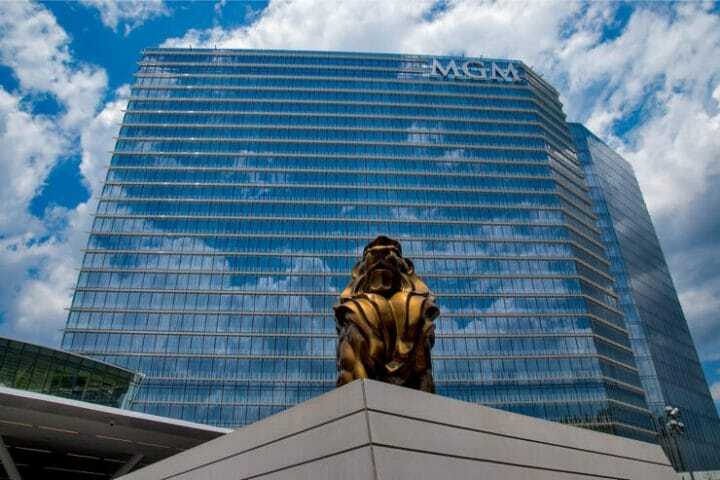 Brick-and-mortar casino gaming isn’t going anywhere anytime soon, but a recent mishap at MGM National Harbor highlights just one of the advantages that online casinos have over their b&m counterparts. Brick-and-mortar casinos exist in most U.S. states, while online casino is only available right now in Nevada (poker only), New Jersey, and Delaware. Pennsylvania is soon expected to join the fray. There are many benefits of iCasino for people fond of gaming, but here we will highlight a recent incident in Maryland that grabbed some national attention. According to FOX 5, a casino patron named Cynthia Obie was playing a slot machine recently at Maryland’s leading casino and hit a nice score of several thousand dollars (the exact amount wasn’t reported). The casino, under state gaming regulations, collected personal information from the gambler, including her social security number. Human error resulted in her SSN being recorded incorrectly. When her SSN was incorrectly put into the system it hit on a person who owed child support to Maryland’s Human Services agency. Talk about bad luck. Her winnings were seized and she left empty-handed as the casino’s hands were tied. It’s an appalling story, and it would be reasonable for one to stop visiting MGM National Harbor as a result. As news of the controversy spread, MGM did the right thing by bypassing Maryland red tape and paying out the woman directly a week later. The casino didn’t have to do that under the state’s regulations. Still, her money was held hostage for a week and that’s unacceptable. Brick-and-mortar and online casino can complement each other, but this story is an example of just one of the many advantages that playing from the comfort of your home has over making a trip to a casino. In New Jersey’s regulated online casino market, there are layers of verification before a person can ever place a bet. In the brick-and-mortar setting, that verification comes at the end, after the gambler has won, usually a significant sum of money. The threshold can vary depending on the state. In this case, involving child support, an online casino industry could make it possible for an operator to prevent a gambler who owes child support from ever placing a bet in the first place. That could prevent those who owe child support from losing the money that they don’t actually have. Additionally, online can streamline the regulatory process, and thus prevent the wasting of time and resources confiscating money that a gambler had just won. Online casino identity verification can also make it far less likely that an underage or self-excluded gambler plays. Gaming regulators across the country sometimes issue fines to brick-and-mortars for violations regarding underage or self-excluded play. Earlier this week, the Department of Justice ignored all the benefits of the internet for the robust U.S. casino industry by releasing an absurd and vague memo that tried to argue that basically all forms of online gambling run afoul of the 1961 Wire Act. The memo is based on the premise that online casino creates a sort of Wild Wild West market, where operators will inevitably offer their online games to minors or those with addiction. That is simply not true. Las Vegas Sands, the casino operator that has pushed for an online casino ban, has actually been fined numerous times for underage gambling and serving alcohol to minors.